Extreme air flow in the attic due to high winds, low air pressure systems etc., can disturb the vermiculite / Zonolite in your attic which in turn can release a dangerous form of asbestos fibers into the air. These fibers can then unknowingly move freely within the house and can pose significant health risks as these fibers can become lodged into the lungs if inhaled. The risks to being exposed to these asbestos fibers can further increase during building renovations or repairs. If you suspect that your attic is insulated with vermiculite / Zonolite, avoid going into the attic, as disturbing the insulation can release asbestos fibers into the air and become what is known as friable. Notice: Health Canada advises to NEVER attempt the removal of asbestos-contaminated insulation yourself but to consult a qualified insulation removal contractor, also known as “asbestos abatement”. 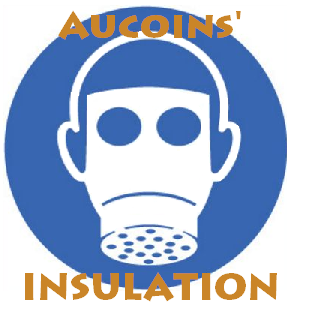 Aucoin's Insulation offers air quality sampling and testing, which includes testing for vermiculite / Zonolite in your insulation. Aucoin's Insulation uses a state of the art, 3 stage HEPA filtration negative air system. This vacuum system removes 99.97 % of the mould, dust, gases and fine particulates from within the sealed environment. Once all the contaminated insulation is removed, soffit airflow vents are installed and vent pipes, light boxes, bathroom fans etc. are caulked and sealed. Once the sealant has been applied, 15" of environmentally friendly cellulose insulation with an R-Value of 50 can now be blown into the attic. Cellulose insulation is rodent, insect and fire retardant and possesses superior thermal and acoustical qualities. Blown in cellulose coats within cavities where traditional forms of insulation often miss. Corners, crevices, irregular angles and cramped spaces are no challenge for this insulation material. If vermiculite / Zonolite or asbestos is found to be in your home, vERMICULITE contaminated insulation can be removed from the outside of the home keeping all the contamination outside the family dwelling. Maxi-Vents are usually installed in the roof to allow entrance for the vacuum hoses and to promote maximum air ventilation in the future.